Yesterday opened at the high volume point from last week's range, tested lower through the prior settlement and reversed off a high volume node from Tuesday. The overnight high had matched Tuesday's poor high. 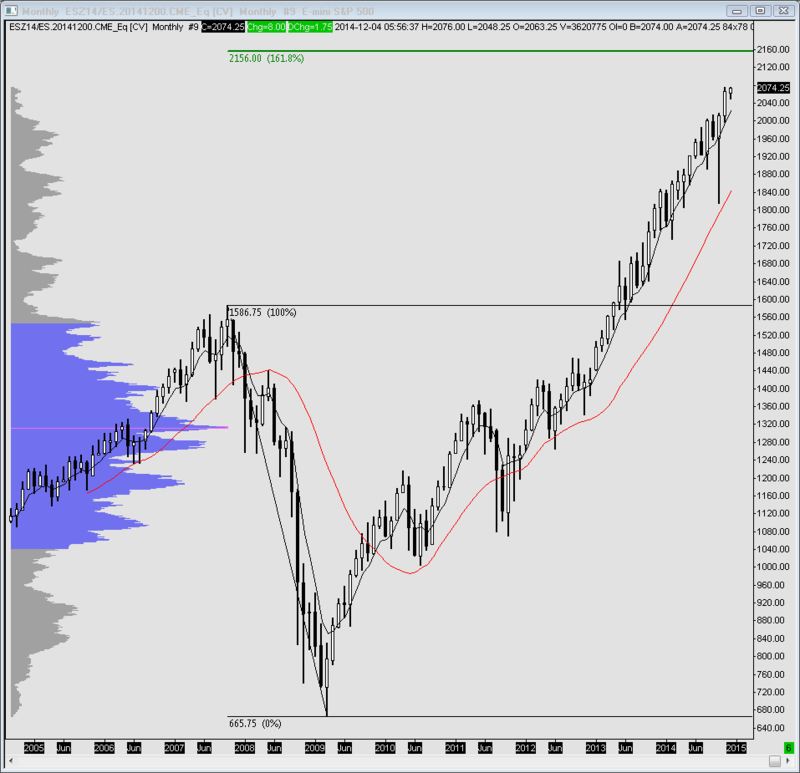 Once through this the next upside target was the 2072.00 naked VPOC from the prior week. When this was achieved the market stalled and pulled back to a tick below the overnight high before slowly rallying and eventually pushing through the early high to all time highs. 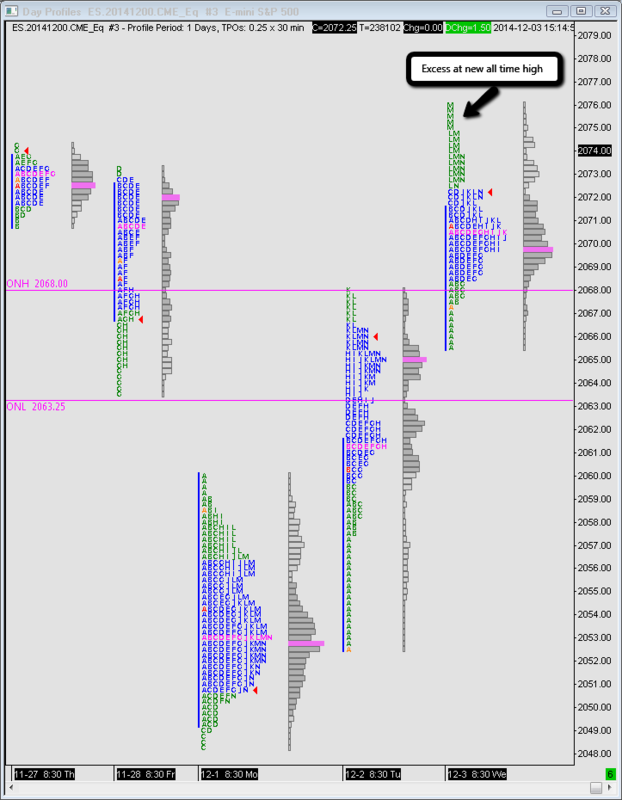 There is excess left at the high and there was some aggressive selling action into the close. However, volume was poor overall with just 922k contracts and 3.62 bn shares on NYSE traded. If trade remains above the 2072 area there is a good chance for more new highs. Acceptance below and could start to rotate lower to test the various levels, HVNs & LVNs below. My upside measured fib moves are 2082.50 & 2092.00 on the 60 min, 2139.00 on the daily and 2156.00 on the monthly. The ECB announcement and press conference today from 06:45 ct will be the dominant focus for the market before tomorrow's employment report. Jobless claims are at 07:30 ct.